Our reviews (both written and video) are all wrapped up, so we’ve been reflecting on the LG G6, now ready to share 5 reasons why this phone is worth buying. From my time using the phone, I can honestly say LG has completely changed my mind about its hardware, especially when we compare the G6 to last year’s G5. It really is a night and day difference. There’s no more cheap feeling plastic or terrible modular implementation. The G6 is a classy, high-end smartphone with all of the features you could want at an attractive price. 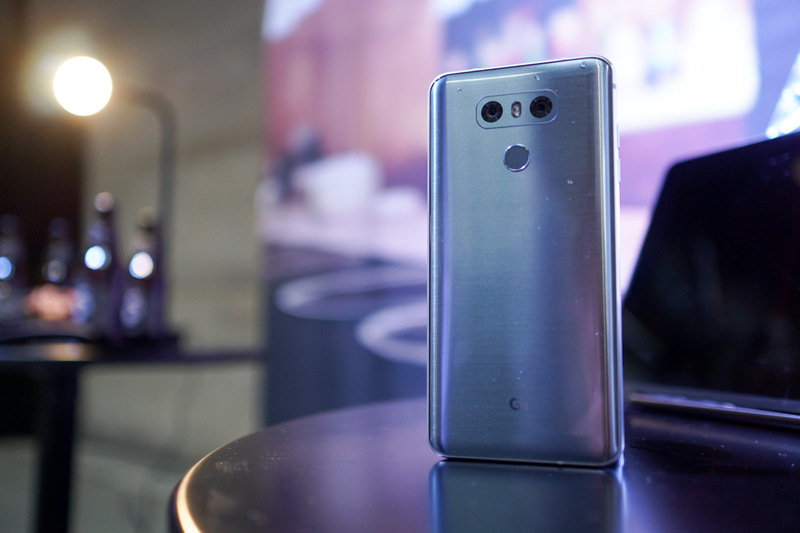 Enough of my rambling, though, here are 5 reasons the LG G6 is worth buying. 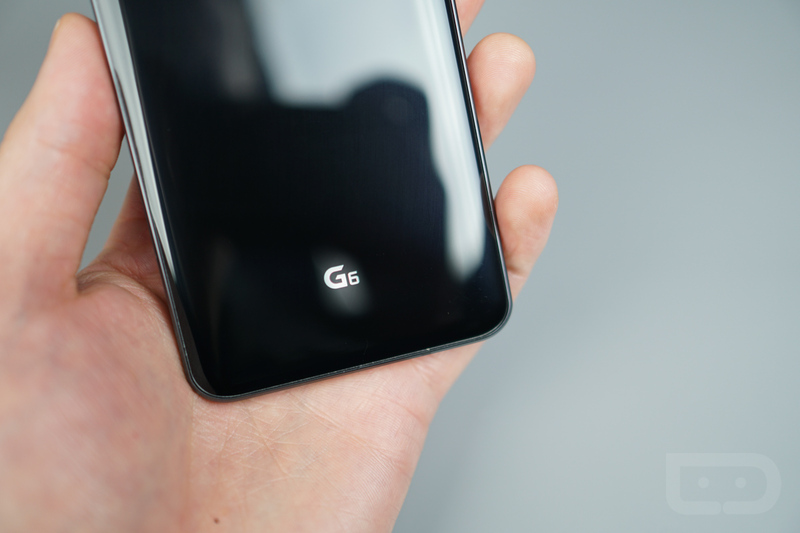 When we reviewed the G6, we came away impressed with the overall package, but what does that mean exactly? Well, in our minds, if you add up everything the G6 offers, then look at how much it costs, the G6 is a great buy. LG is offering good specs, a very nice 5.7″ QHD display surrounded by hardly any bezel, dual 13MP rear-facing cameras, water resistance, expandable storage, headphone jack, and helpful software tweaks on an already great Nougat OS. All of this can be had for under $700, which really equates to somewhere around $30/month, since many opt to get their smartphones via payment plans these days. If unlocked is your route, you can’t argue that sub $700 is a great price for a phone with IP68, dual cameras, and a crazy cool design. I spent a lot of time comparing the G6 to last year’s G5 and it’s so apparent that LG listened to what its customers had to say. Modularity was not widely adopted as LG had hoped, and instead of pressing forward in an attempt to sell people on the idea, they simply admitted it was a mistake, scrapped it, then started fresh. I applaud LG for this move and the G6 is a great package that should be checked out if you’re an Android fan. There are many that will argue with me, but the fact of the matter is, water resistance is awesome. Why would someone not want it? It’s not about whether you’ve ever dropped your phone in water before – it’s about the possibility of it happening, and when your device comes with IP68, it’s just something you don’t need to worry about. 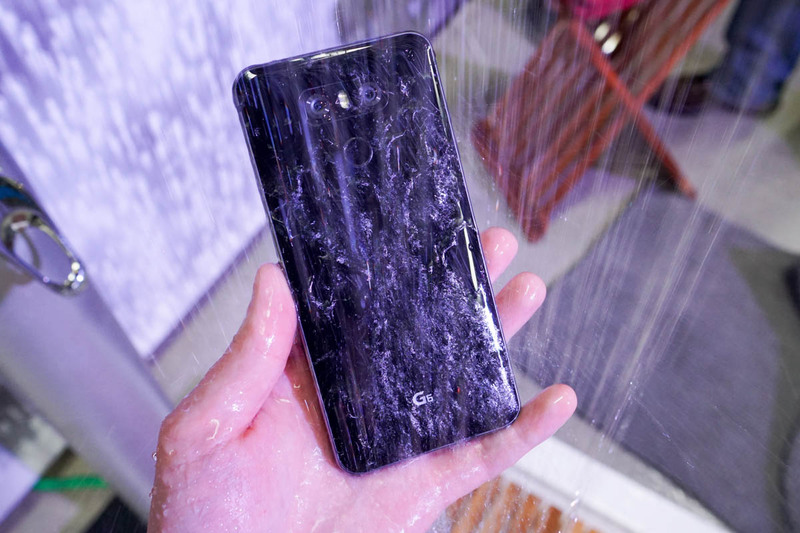 For me, it’s better knowing my phone won’t be completely destroyed if I drop it into a little puddle rather than being overly cautious with it when out in the rain or using it in the kitchen during an intense noodle boiling session. Not only that, but when a phone doesn’t have comprehensive water resistance (Pixel, Mate 9, etc. ), I always ding them for it. We all should. It’s a feature that I feel should just be standard in a phone that’s going to cost $650+, a price for something that is not easily replaceable for most people. You can disagree all you want, but I am and will continue to be a champion for water resistance. The G6 is LG’s first phone with IP68 in the US, and dang it, I love it. On the backside of the G6, you will find dual 13MP cameras. To get technical, the standard sensor is f/1.8, features OIS and phase detection AF. The wide angle lens is f/2.4, capable of shooting 125 degrees, compared to the standard shooter at 71 degrees. Both Kellen and I took a lot of shots on the G6 for our reviews, coming away very impressed with the end result of many pictures. While we did have minor beef with how long it takes for the camera to fire up and snap that first shot, it seems all subsequent shots can be fired off rather quickly, meaning you shouldn’t miss too many shots due to slow software. Not only is the standard shooting mode adequate, but LG packs in a ton of additional software for the power users. If you need more control over ISO or shutter speed, the Manual Mode was built for you. If you want to take advantage of the 18:9 aspect ratio, Square Mode can provide a few helpful things, such as the ability to create grid photos for your next upload to Instagram. For sample shots and more detailed info on why these cameras are good, please check out our G6 reviews. Who doesn’t want free goodies? Free goodies are the best. For a limited time, when you purchase a G6, you will receive a free Google Home (valued at $129). That ain’t bad. To sweeten the deal, through select carriers (Sprint and Verizon), you could even receive a free LG TV. Now we’re talking. For further details on this, you’ll want to check LG’s website. However, I can say that time is running out if a free TV is on your mind. According to LG’s promo website, you’ll need to claim the TV before April 20, so you best hurry. Naturally, both Sprint and Verizon are only offering this promotion if you purchase through select avenues (switching lines, opening lines, etc), so check out all of the fine print before completing your G6 purchase. Much more easy to claim is the Google Home. Anyone who purchases the phone, whether it be from a carrier or Best Buy, will receive a free unit. You can’t argue with that. Additionally, LG appears to be handing out free Google Drive storage to owners, so that’s an added bonus. In many ways, the G6 is a lot like Samsung’s Galaxy S8. They both have large displays with minimal bezel, they are both IP68 certified, are covered in glass, and have plenty of power and features to keep you happy over the course of ownership. However, the G6 can be had for a solid discount compared to the Galaxy S8. Currently, the S8 is priced starting at $750, while the G6 can be had for almost $100 cheaper. If someone was really interested in the Galaxy S8, but can’t quite stomach the entire price, the G6 is a great alternative that is a bit easier on the wallet. And believe me, there’s no shame in that, considering the G6 is a great phone. This also plays into one of the aforementioned reasons, being the free goodies section. With a Galaxy S8 pre-order, you can get a free Gear VR and controller, but if virtual reality doesn’t interest you, maybe a Google Home could? Point being, we have plenty of options and various incentives in 2017 when it comes to a smartphone purchase, making it a good time to be a buyer. Considering another phone? Feel free to take a look back at 5 reasons to buy other phones, like the Galaxy S7, Pixel, or Moto Z in previous installments of this ongoing series.